There are always exciting things happening in Delaware's Quaint Villages. Check out some of the recent coverage and exciting news to come out of Kent County. Did we miss something? 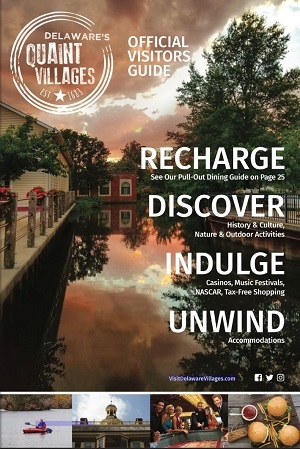 If you have written or know of a great Delaware's Quaint Villages tourism story that should be highlighted here. A new Dover Days Committee, starting 2020! Community members encouraged to participate! Vendor & Parade Registration is now Open for the 86th Annual Dover Days Festival! Kent County Tourism announces Celebration of Tourism Luncheon & Awards recipients, location, and time of the event. Registration today for the Amish Country Bike Tour! There will be some exciting changes for this year’s 32nd Annual Amish Country Bike Tour sponsored by WSFS Bank coming Saturday, Sept. 8!